Educational Qualification: MBBS with minimum one Year Internship and Having a valid Certificate of Registration from the MCl/SMC as mandated Under the Indian Medical Council Act, 1956. Venue :Oil Hospital. 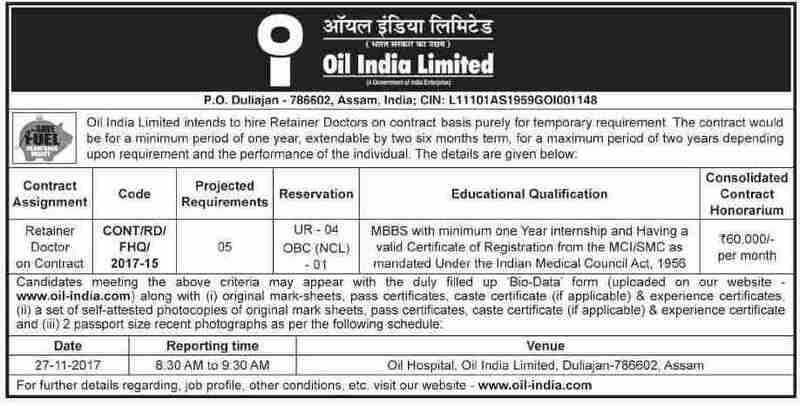 Oil India Limited, Duliajan-786602, Assam.